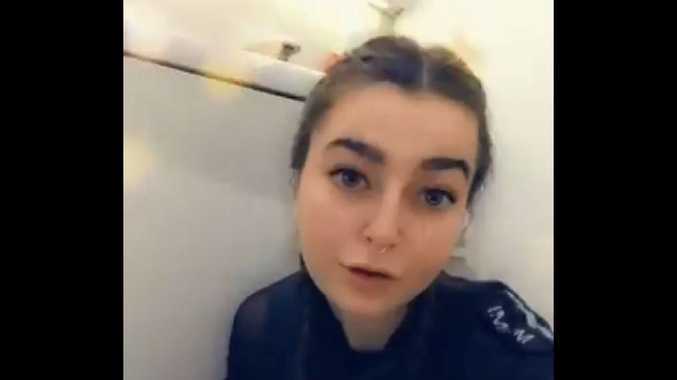 One aeroplane passenger has won overnight internet fame after sharing a self-produced video to Twitter of herself licking the toilet seat of a plane bathroom. User @Grimiestt posted the alarming footage to Twitter this week in a clip that has since been viewed more than 6.5 million times, Fox News reports. In the video, the woman licks the rim of the toilet in a stunt that reportedly "made (her) tongue go numb". The airline on which the stunt unfolded remains unclear at this time. In the days since, Twittizens have largely voiced feelings of shock, disgust and confusion in reaction to the now-viral clip. "Can't believe Twitter made me famous for licking a toilet," @Grimiestt later wrote. Dr Charles Gerba, a microbiologist at the University of Arizona, previously told Fox News his studies indicated bathrooms, tray tables and armrests were among the germiest things on commercial aircraft. Dr Gerba reportedly found influenza virus, norovirus and MRSA super bug on some samples tested through his research, further elaborating that plane rest rooms often contain the biggest sources of pathogens. "Worst thing on the plane is the toilet - germiest by far," he said in a 2012 interview, adding there were usually at least 50 people per plane using one bathroom. "Best thing to do is use a hand sanitiser, and do not use the toilet." Also this week, Japan's ANA All Nippon Airways was named the cleanest airline in the world in Skytrax's World Airline Awards. It was followed by South Korean airlines EVA Air and Asiana Airlines, Singapore Airlines and Japan Airlines in a list dominated by Asian carriers.